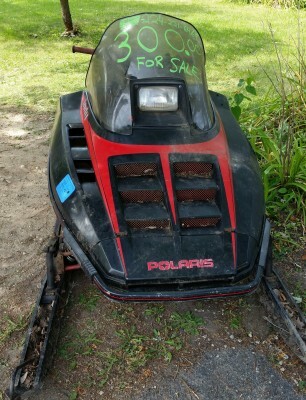 1988 Polaris Indy 650 has 6,300 miles on. Carbs need rejetted, cause it is set up for drag racing. Has been sitting for 5 years, willing to start. Carbs may need cleaning and new gas put in. I'm asking $300.00. Being sold "as is" Cash only.